First and foremost, if you haven't heard, everything in my shoppe is 30% through Sunday! And that 30% off includes my 2 hot new releases, too!! Check them out! And last, but not least, be sure to check out how you can win a custom kit in my inspiration contest today! Would love to see more baseball kits from you! Love your look! PS. I'm friends with Jennifer from Humble, TX. Our boys played baseball together and she turned me onto digital scrapbook, sweet shoppe designs, and your stuff. SAVE BIG WHEN YOU BUY BOTH! 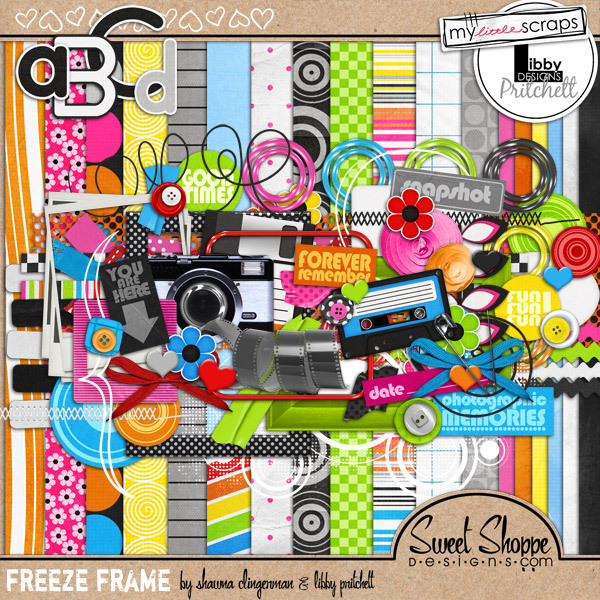 A digital scrapbooking kit by Libby Pritchett, 1st & 10 is the perfect kit to capture all those football moments from the tailgating party to the opening kick off to the winning touchdown.